STATE security agent Rodney Mashingaidze has reportedly relaunched his bid to grab Maleme Ranch in Matabeleland South province, two years after he was blocked by chiefs, civil society and villagers before then Vice-President Phelekezela Mphoko ordered him to vacate the property. Mashingaidze in 2015 attempted to grab Maleme Ranch from Peter Cunningham, sparking protests from the local community, chiefs, civic groups and opposition political parties, forcing him to back off after Mphoko intervened in the wrangle. 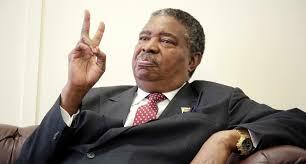 Mphoko then directed the Lands ministry to identify a farm for him elsewhere, saying Maleme Ranch should be preserved as it houses key State institutions, Big Cave Camp and Ebenezer Agricultural Training Centre. Villagers in the area recently wrote to new Lands minister Perrance Shiri, seeking his intervention to stop Mashingaidze’s renewed interests in the property. “It has come to our attention that Mashingaidze has been telling people that he is planning to come and retake operations of Maleme and Ebenezer,” the villagers’ letter read in part. The villagers claimed the farm was benefiting at least 800 families, with Cunningham being credited for assisting villagers with various projects, including raising chickens and teaching them modern farming methods. Maleme Ranch offers grazing pastures to the villagers, who were also given pieces of land by Cunningham to do their small-scale agricultural projects, like poultry.